Intranets and Extranets are the fastest growing use of internet technology and are being adopted by a large number of organizations. 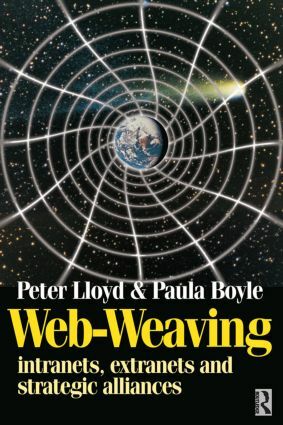 `Web-Weaving' is a book for managers which illustrates the benefits and pitfalls of using technology to enhance internal and external connections. The book brings together a number of the hottest subjects in IT and Organizational Development using contributions from innovative thinkers and practitioners in both areas. The first section defines what web-weaving actual is, describing the huge range of communication technology available to organizations at the moment. The second section reviews web-weaving in practice using case studies of companies using intranet and extranet technology. The third section brings together commentaries from leading players in both the IT and Human Resources fields to predict the future of web-weaving and the huge impact it will have on the way organizations and the people within them will work together in the future. This Book provides a sophisticated & multifaceted vision of the important enabling roles that information technology is likely to play within future knowledge & network-based societies.